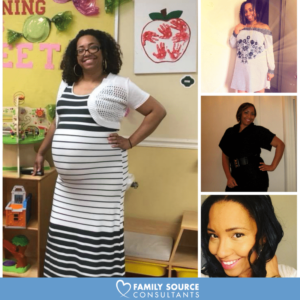 What led you to become a Surrogate? I decided to become a Surrogate because I wanted to give the greatest gift of all – a family to someone who cannot have one on their own. Who was your largest support person/s throughout your journey? My daughters were my biggest support system throughout my journey. What made you decide to choose your Intended Parents? Knowing my IP’s history and desire to have a child, I knew he was the family I wanted to help. I could tell from his profile and our Skype meeting he was very sweet. What are some of the highlights of your journey? Finding out I was carrying twins and the day they were born were definitely the highlights of my journey. Do you have advice for women who are interested in becoming a gestational surrogate? The advice I’d give to women interested in becoming a surrogate would be to tell your family and friends so you will have a support system. I also would suggest joining FSC’s private Facebook Support Group. I’d also tell her each journey is different and not to compare other’s journeys or even your own pregnancies to this one. Also, don’t rush things. It can get stressful but try to enjoy every moment. And finally, do your research. Ask questions so you’ll be informed. What is the one thing about your journey that has most surprised you so far? What surprised me the most, was how fast the journey happened. Before I knew it, the babies were here. I delivered early so I didn’t have as much time to enjoy the pregnancy. How is being a Surrogate different than your own pregnancy(ies)? One of the biggest differences is only having a connection with the babies, not an attachment. Not being able to hold the babies after delivery or while they were in the hospital also were big changes for me.